Most of the folks are always trying for shortcut way. Here is the tip on how to add or remove recent/ favorite contact shortcut to notification center in iOS 8, iPhone and iPad. From the notification center on locked iPhone and iPad screen should be difficult but you can do it not through features in iOS 8. Sometime, for the privacy reason, you can remove or delete recent contact list in contact app. But are you ignoring that, and then you can set recent contact as a speed dial inside notification center. You can place your favorite contacts inside today view notification center. 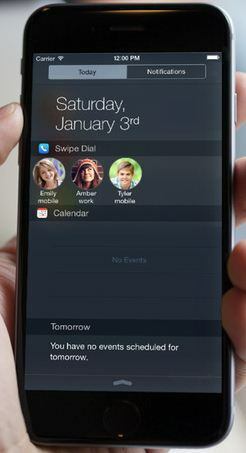 Swipe Dial also allows more than three contacts in a series as a widget, only in premium feature. 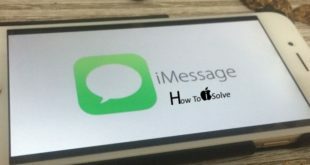 Here you will find how to set favorite contacts with picture in iOS 8 notification running on iPhone 6, iPhone 6 plus or other iOS 8 compatible devices. Update (13 August 2016): Swipe Dial Left support for iOS 8, So we can try Another Two below apps alternatively. Download Swipe Dial app from iTunes. Install it. And Launch it. From the main screen you can view Add contact button. Here you can add up to 3 contacts in free, Rearrange it and order as you wish, but in premium feature you can add more then. Now you can see added contact inside today view notification center after set Swipe Dial widget inside that. More: Customize today view in iOS 8 notification center – iPhone, iPad. To add widget in notification center, Swipe down notification center, And tap on Edit button at last. Tap on Green plus button which widget ready to show in notification center. If you want to get inside the lock screen only, then you can turn off notification center from lock screen. You also set Nike name (as a quick dial from Contact shortcut to notification center in iOS 8) which is different from your saved address book name. Useful: How to post tweet from notification center in twitter on iOS 8. Don’t miss to share your experience with us on add or show Contact shortcut to notification center in iOS 8 using Swipe Dial app. Have you getting confusion also comment in below for batter suggestion.